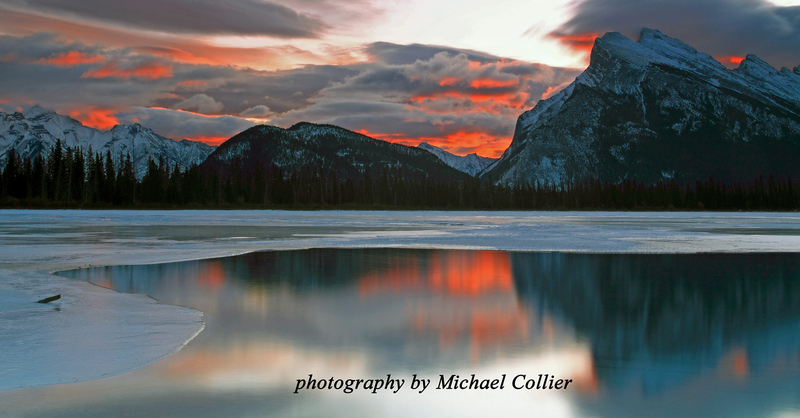 Michael Collier is a Canadian landscape and nature photographer in Calgary Alberta . He has explored the Rockies of Alberta and British Columbia for many years and offers his own unique perspective of the landscape in this region. It is such a thrill to live in a place that abounds with so much beauty and that I have the opportunity to pursue my photographic interests. I not only enjoy the thrill of finding the perfect shot, but also how amazing it is that the same place can change dramatically from season to season, day to day and minute by minute as mother nature spins her magic through light and color. Learning to capture these special moments in time has been and always will be a lifelong learning process. The use of filters and exposure control allows for limitless possibilities. An abundance of wildlife fuels my other photographic interest. Capturing the essence and characteristics of the different animals and birds in this region is a wonderful challenge and I am driven to excel.